This is a 5x7 oil painting available HERE for $50. 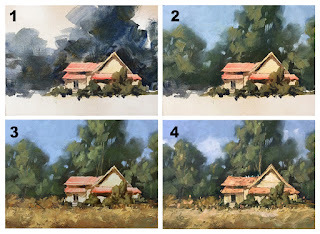 Take a look below to see the step-by-step process as I painted this. 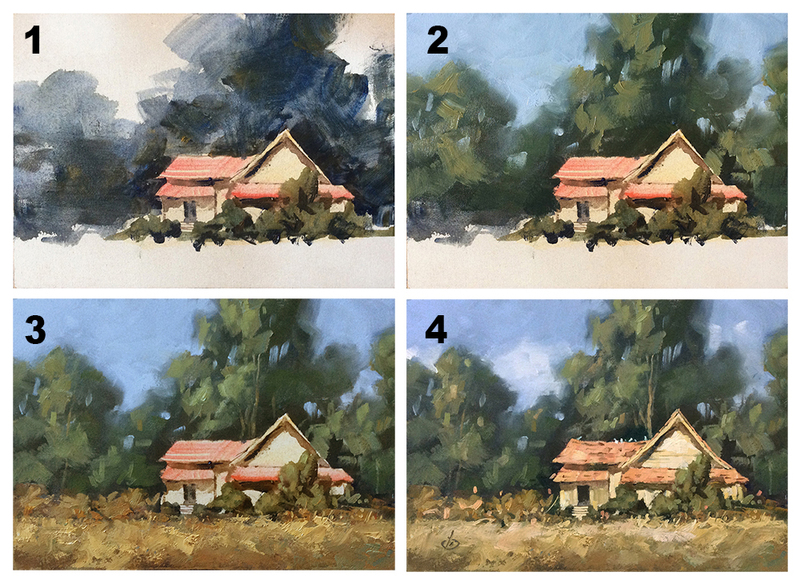 1) I began with simple washes of oil paint to establish the big shapes of the composition. 2) I added the sky and began developing the active and passive areas of the trees. 3) Next I blocked in the foreground. 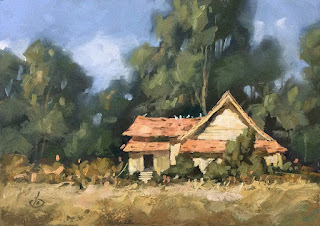 4) I took it to completion, adding details such as birds on the roof, limbs in the trees and small accents throughout.